Trout angling at Clear Creek Reservoir has been slow from both boat and shore. Almost all of the rainbow trout caught ranged from 8 to 12 inches in size. The best shore fishing has been early morning and late evening. Trolling worms with flashers along the southern part of the lake was the most productive method to catch trout. A needlefish lure was the only lure to generate consistent strikes from trout while trolling. From a boat while drifting, fishing three feet of line between a worm and bobber yielded a high catch of trout. The kokanee salmon fishing remains very slow. The best time to fish for kokanee salmon has been between 6:30 p.m. to 8 p.m. Boat anglers targeting kokanee salmon usually employ squids tipped with corn near the dam of the reservoir. Most of the tiger muskie were caught late in the evening. A majority of the larger tiger muskie followed a lure up to a boat without striking at the lure. The reservoir is closed to trailer motorized watercrafts on Tuesdays and Wednesdays. The current boating hours are from 6 a.m. to 8 p.m.
Anglers are having more luck catching bass in pond #1 than ponds #2 or #3 right now. Hard baits, soft baits, and artificial worms and minnows are working the best. The trout bite is still slow due to the warm water temperatures. 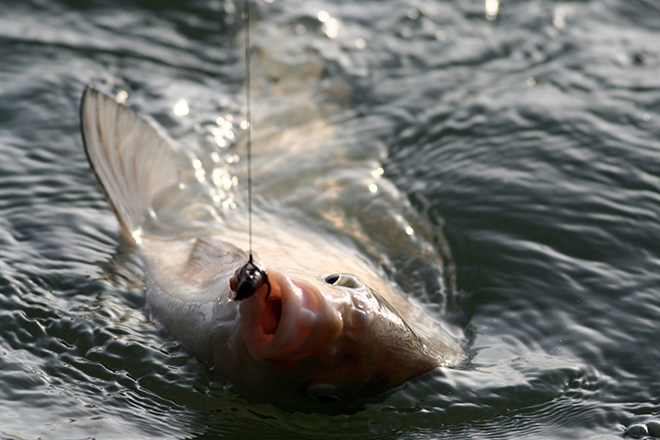 The catfish bite is fairly slow, but some are being caught occasionally. Fishing for bass has been fair to good. Soft plastics are the ticket right now. Fishing is only allowed on ponds #1, #2, #3, and a small portion of pond #4. Also, a park pass is required for any vehicle that is parked in the Valco parking lot.